It is the middle of winter here and boy is it cold outside! 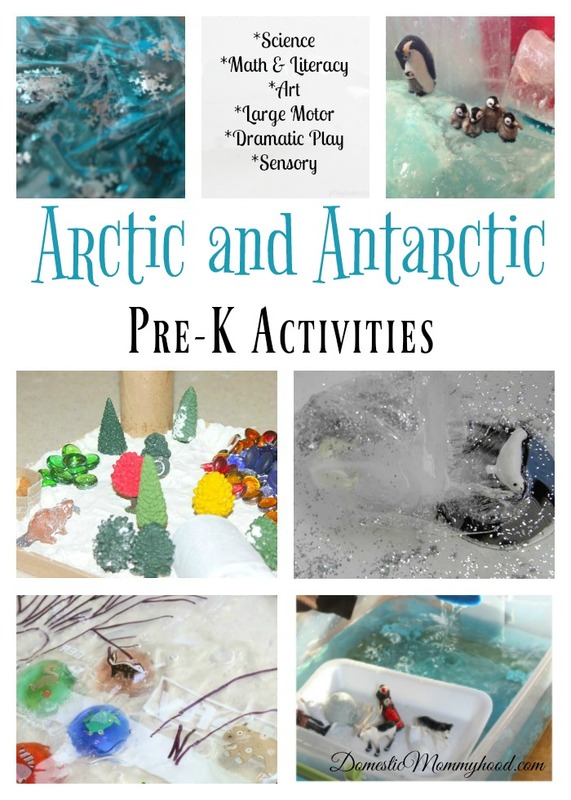 We have been learning about Arctic and Antarctic Animals and I have put together a Cold Weather Arctic and Antarctic Theme for Pre-K Activities Theme List of Pre-K Activities for you to use. We have been having a blast and figured I would share this new pre-K theme with you and your little ones. We have more Winter Pre-K Themes for you to check out on the blog. Here is a list of the Best Pre-K Books about Arctic Animals that I have here on the blog! It is so fun to carry your Pre-K theme into your circle time and lesson plans. Enjoy! I hope you enjoyed the list of Arctic and Antarctic Theme for Pre-K Activities list to use for your Winter Pre-K theme! These are fun and very educational for the kiddos and are great for a Pre-school class or just for use in your home.